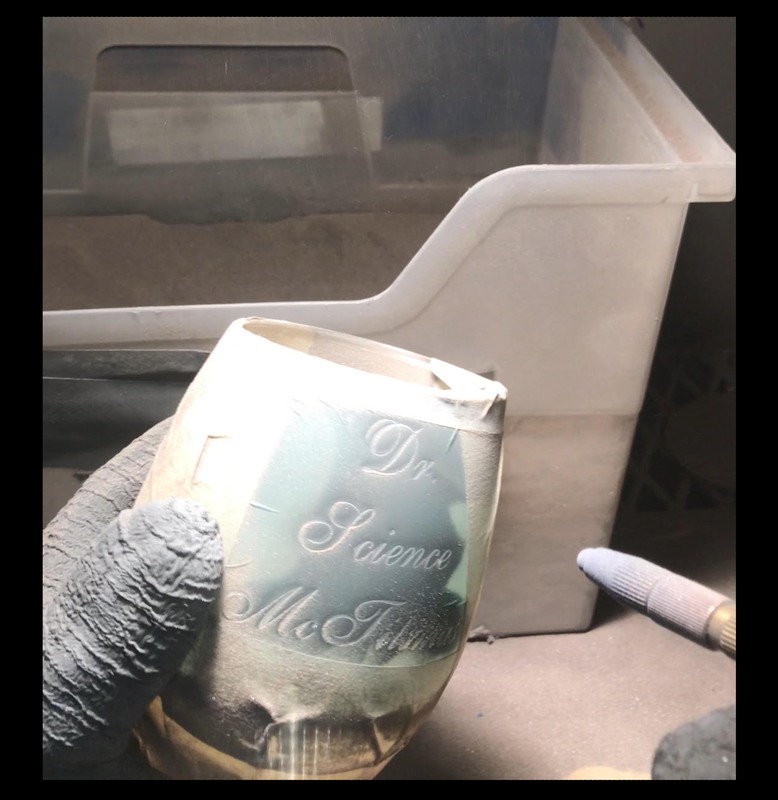 Laser engraving is a process where the laser beam physically removes the surface of the material to expose a cavity that reveals an image at eye level. 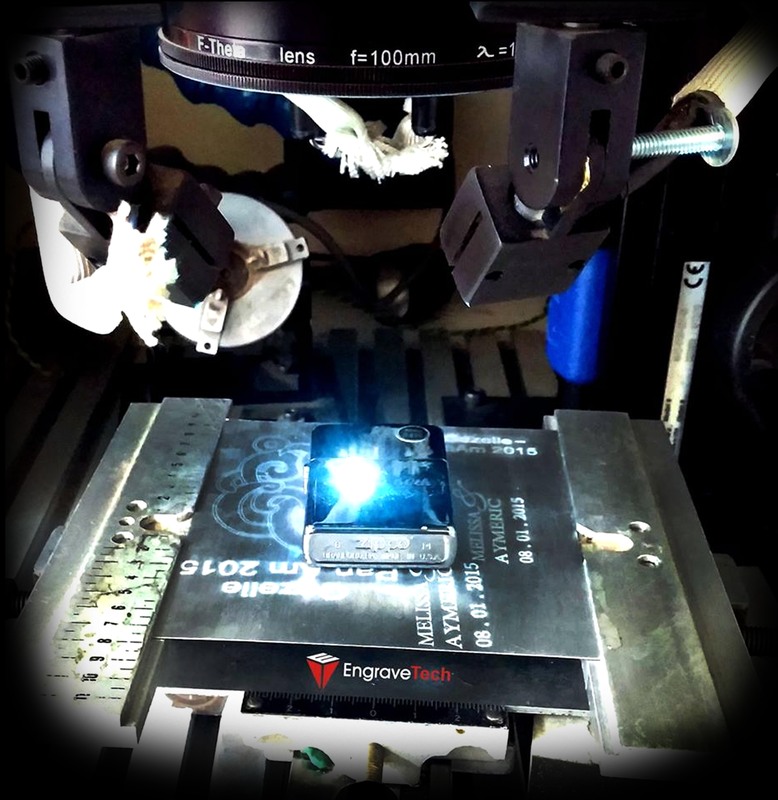 The laser creates high heat during the engraving process, which essentially causes the material to vaporize. It’s a quick process, as the material is vaporized with each pulse. This creates a cavity in the surface that is noticeable to the eye and touch. CNC Engraving is the art of cutting or carving grooves or characters into a surface. 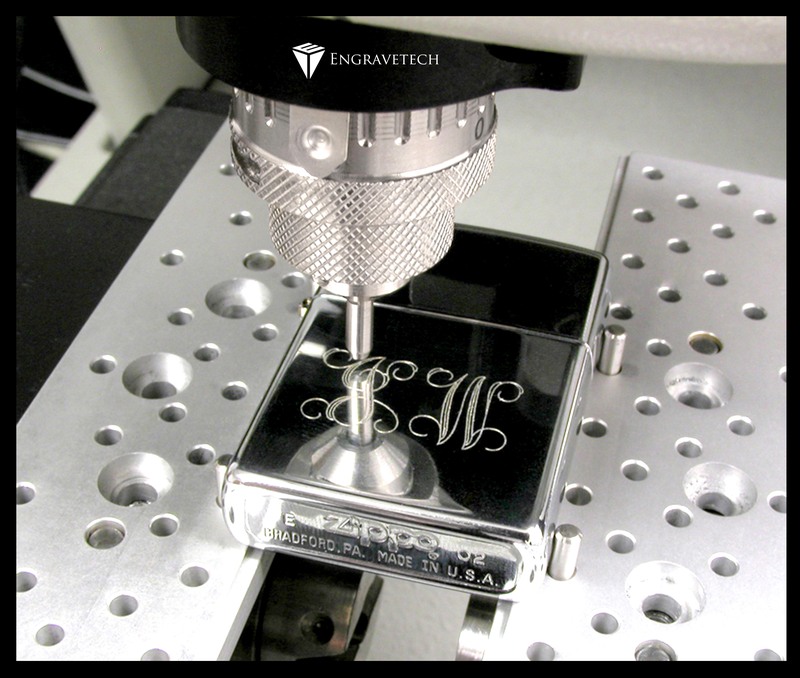 Rotary Engraving, or CNC Routing, is done with a rotating tool or cutter in a motorized spindle. Sand blasting is the process of combining an abrasive media with air and forcibly propelling it in a stream onto a surface to create an abrasion of the surface. Combined with the use of a masked area on the surface you can etch a pattern /image onto almost any surface. It provides a far superior result than any other glass engraving process available. You get very fine detail work and sharp crisp lines. It is by far superior to laser engraving methods which a) gives a duller finish with not as sharp line edges and b) does not like hi-led content crystal or cheap grade glass. With sand blasting it does not matter about the quality of glass you get exceptional results on cheap glass right through to high quality lead crystal.